- Paracetamol (500 mg): Soothes pain and lowers fever. - Pseudoephedrine hydrochloride (30 mg): Reduces nasal congestion. - Chlorphenamine maleate (4 mg): Relieves the runny nose. Gelocatil Gripe with Pseudoephedrine is indicated in adults and adolescents from 12 years to combat the symptoms of flu and colds that present with pain, fever, congestion and nasal drip. 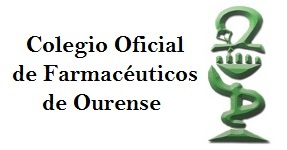 - Adults and adolescents from 12 years: 1 tablet of Gelocatil Gripe with Pseudoephedrine every 6-8 hours as necessary. The tablets should be taken with a glass of water or any other liquid. No more than 3 grams of paracetamol should be taken every 24 hours. - Under 12 years: Do not administer, it is contraindicated.